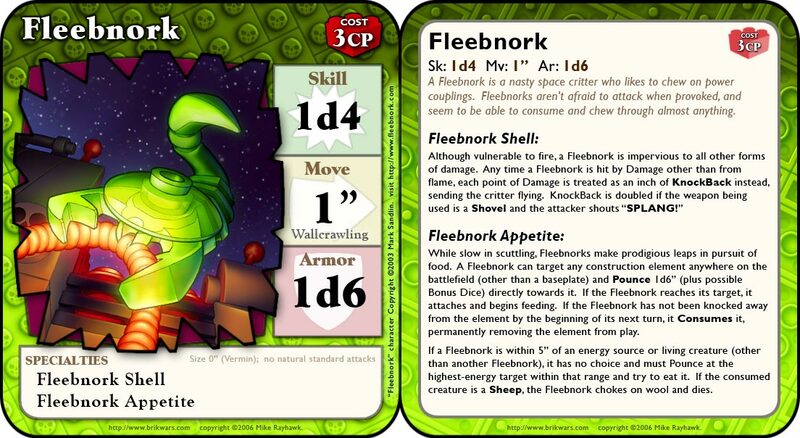 A Fleebnork is a fantastical creature created by a fan, Mark Sandlin, and popular with many Spacers. It is a dog-sized scorpion-like creature with a transparent neon-green body which infests machinery and chews on vital system components like power couplings. From Brickshelf Copyright held by Brickshelf user sortafast. A fleebnork is simple to build, consisting of two pieces: a scorpion and a 2X2 radar dish, both in trans-neon green. As the scorpion piece only came in that color in one large set in the year 2000, it is quite rare. This rarity combined with the fact that many Spacers have bought up trans-neon green scorpions to make fleebnork armies, has driven up the price of the piece in the secondary market. In contrast, the 2X2 radar dish in trans-neon green is very common. The rarity of the scorpion piece has led to some creative excuses by builders to use other colors. Some people have made fleebnorks from the more common trans-neon orange scorpion piece and claimed that this is a mutated variety, or that that's what color they turn when they have been poisoned. Of course, making a fleebnork from a black scorpion (by far the most common color for LEGO scorpions) is a simple method for making charred remains of the pests that have been exterminated with a flame thrower. The popularity of Fleebnorks at times seems to rise to the level of a fan developed theme. As a single accessory (like M8) however it is more logically a complement to one or more themes. 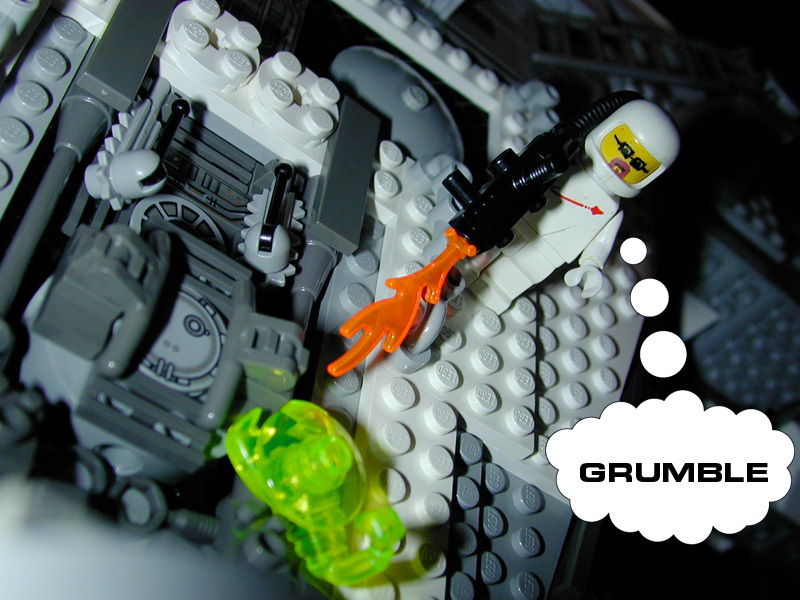 This page was last modified 23:42, 14 January 2013 by Brickwiki user Claude Bombarde. Based on work by Brian Alano and David Gregory and others.